A day after the plastic ban came into effect in Tamil Nadu, nearly 9-10 tonnes of banned plastic was seized by Chennai Corporation officials. Teams led by assistant engineers of the corporation have seized plastic carry bags, cups, plates and sheets from several shops. Officials visited Koyambedu market, Asia's largest vegetable and flower market, and T Nagar, the shopping hub of Chennai, and seized the banned products. There was some confusion as officials and shopkeepers had no clarity on the list of banned products. The implementation of the ban might soon be visible in many of the shops, where people are switching over to alternatives varying from cloth bags to newspaper and banana leaf. The Greater Chennai Corporation has set up 200 Ward Committees with eight officials from local offices in each committee, and another 15 Zonal Committees to implement the decision. It has also initiated a drive from December 31 to collect the banned plastic items from households and shops through various collection points. The corporation has also been conducting door-to-door awareness programmes to better implement the government initiative and cover more households in the coming days. An enforcement wing will also conduct inspections in shops to ensure that banned plastic is fully disposed of. The plastic will be disposed of in tar to be used in laying roads. According to an article by The Energy and Resources Institute (TERI), Central Pollution Control Board estimates that Tamil Nadu generates approximately 79,115 tonnes per annum of plastic waste and cities like Chennai and Coimbatore have a mix of 80 per cent of high density and low-density polyethylene waste comprising carry bags, milk pouches and packing films. But the government refuses to budge from its stand. 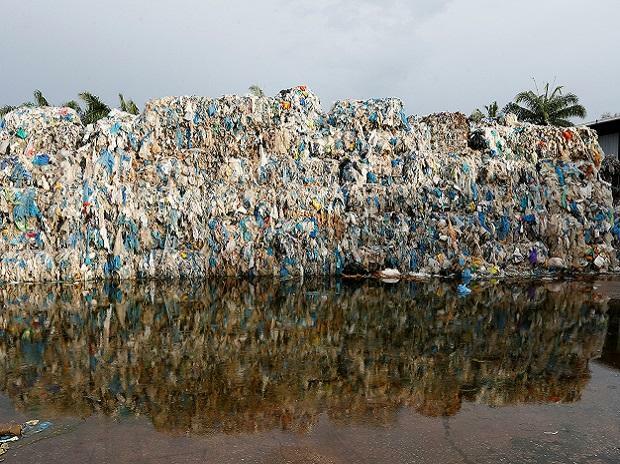 Tamil Nadu Pollution Control Board has already issued legal notices to about 1,400 plastic manufacturing units across the state. The Tamil Nadu Pollution Control Board (TNPCB) is going all out to stop the entry of banned plastic products into the state. The state administration has created collection centrers to collect the banned items and is also planning to impose a fine for stricter implementation of the ban. The TNPCB has also been coordinating with commercial and sales tax departments to keep tabs on inter-state checkposts and block vehicles carrying banned plastic products into the state.